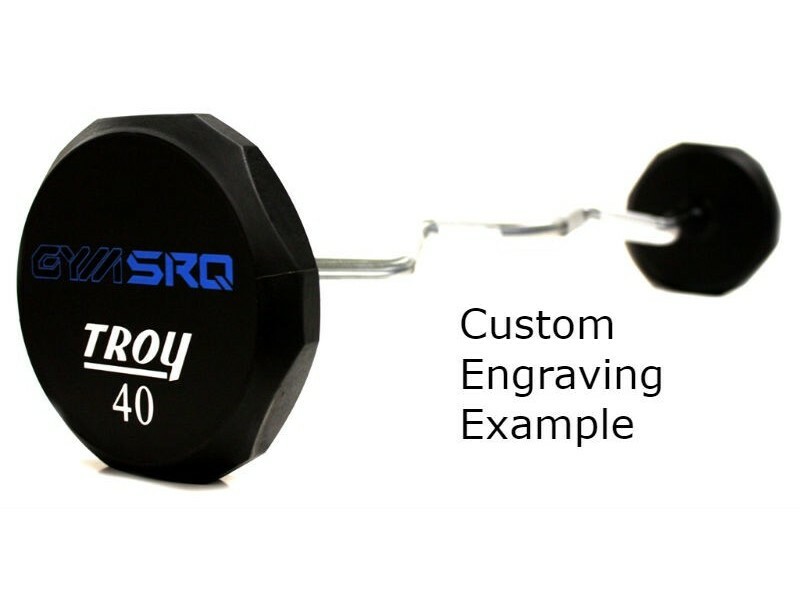 Have your barbells personalized with your gym or school's logo! See here for details. 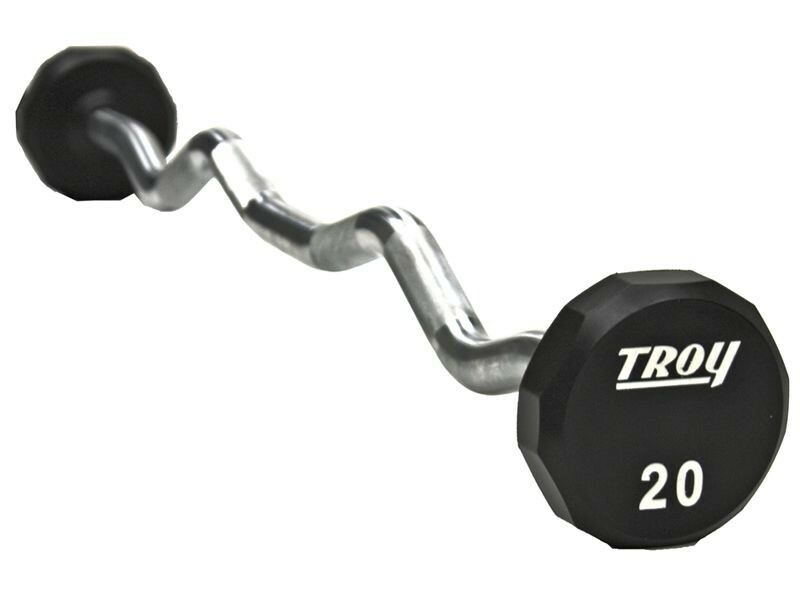 Includes one urethane encased curl barbell. Select your desired weight. These urethane barbells are the highest quality you will find in any commercial gym. Urethane is resistant to heat, sunlight and abrasion, and it lasts forever without degrading. The full run of barbells from 20lb to 115lb are a convenience for users who are doing curls or a certain other exercises and find it easier to pick up another barbell rather than change the weight. "Pro-style" barbells like these consist of individual plates bolted onto a bar, creating a fixed weight barbell that is not meant to be adjusted. With this model on either end of the solid 30mm steel shaft is not a stack of several plates but a solid 12-sided iron core covered by a thick layer of urethane.